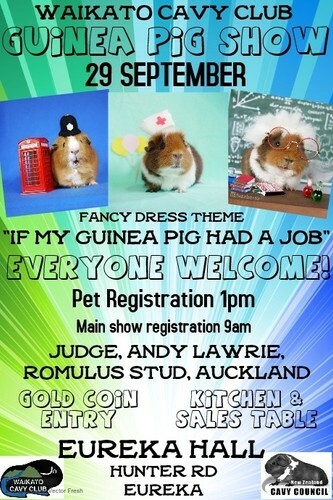 Come along and see purebred pedigree guinea pigs on show. Lots of different breeds being judged. Bring you pet along at 1pm to enter the pet show. Bath and clip nails to be show ready. Sales table and kitchen. No eftpos. Gold coin entry. Everyone welcome!